☹ Complicated error messages on the screen? Whether you have a custom made site, a WordPress site, any Content Management System (CMS) or no CMS at all... I will get to the root cause of your problem and either fix it straight away, or identify and explain the best route you need to follow to get it sorted once and for all. I will also give you full, clear and concise explanations to help prevent similar issues occurring in the future. 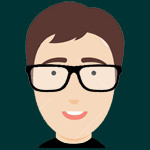 ✔ Over 10 years of diverse web development experience - check out my profile - http://pph.me/webeism. ✔ API integration experience - Amazon MWS / Product Advertising / Google APIs / MailChimp / Flickr / Social APIs / others. ✔ Full website builds - Custom / WordPress / CMSMS / Drupal / CakePHP / others. ✔ Payment Gateway Integrations - Stripe / PayPal / Barclays EPDQ / YesPay / Datacash / others. ✔ Custom widget and add-on development / custom wordpress plugins / advanced reporting systems / tailor made business systems. ✔ I can offer you a variety of web development services, particularly if your issues require a larger project to be scoped out. ✔ Loads of other stuff! ⓘ The word "problem" is open to interpretation. So before purchasing, whatever your situation, please do contact me first to ensure this hourly is the right approach for your current problem. ⓘ If you have actually identified multiple separate problems, you will need to purchase one of these hourlies for each separate one, or consider a larger project if the problems just keep mounting up! ⓘ It may be the case that you actually need more than a "quick fix" for a single problem - in which case I would be able to offer you all sorts of alternative solutions - just get in touch and we can discuss the best way forward. ✔ As much information regarding the problem as you can please kindly provide! So that means as clear and precise an explanation as you manage, possible screen-shots, supporting documents - the more, the merrier! Essentially I need to be able to see / replicate the problem myself in the first instance. ✔ ftp access to your site so that I can download / upload files if required and potentially create a local version of the site to help identify the issue - ftp host, username and password will be required here. ✔ Possible hosting login access (login URL, username, password) to your hosting platform (CPanel / GoDaddy / 1&1, Heart Internet - whatever the provider may be) so that I can access any underlying database(s) for the site if required. Great job getting our script to work with different pieces of software we already use. John did a great job on our JS contract. He checked the feasibility before we got started, which was a concern of ours, and we're glad to have worked with him. Doing some more work on a project extension. We had a JS project. John took the time to understand our requirements, comment his code, provide step-by-step instructions on its use. Extremely satisfied with the quality of John's work. Every bit of confidence the job would of been done with access, but just that was the requirement I needed for this project! Fantastic work and very quick turnaround against a looming deadline. Would highly recommend John. Great work, thanks John. Look forward to working with you again. John was very diligent and honest. Whilst we weren't able to get to the bottom of a very complex issue due to factors outside his control, John went above and beyond to help. Hi, I'm John, a UK based web developer with over 10 years experience across the spectrum of back end / database / server coding through to front end styling and development. My...Read moreHi, I'm John, a UK based web developer with over 10 years experience across the spectrum of back end / database / server coding through to front end styling and development. My preferred tools of the trade are PHP, MySQL, HTML(5), CSS(3) / JS / JQuery, however I do have experience in other languages, systems and acronyms.